A universal custom worldwide is that investors and entrepreneurs would save their profits that they can use for leisure activities or spend on the time of need in later stages. But the trend has gone reversed in UAE due to the extremely supportive business opportunities available in the emirate. According to a recent survey by an international organization, the primary purpose of saving for both investors and workers in UAE is to invest in a new business because they are absolutely sure about the high chances of growth of any type of business activity in the UAE. The survey is conducted by CFA Institute, a global investment advisers organization. The survey shows the confidence of UAE investors on the future of business in the state along with the steps taken by the government for growth of business activities in the country. The survey is composed of several questions and the most important and decisive question was about their primary investment goals. The reply was surprising as 31% of respondents opted to start a business with their savings while the global percentage for this option is just 4%. The reason for choosing this option is evident from their reply of the second question that was about their confidence regarding the financial services industry. More than 47% UAE investors expressed that they are “very confident” on the matter while the percentage at the global level is far behind at 33%. 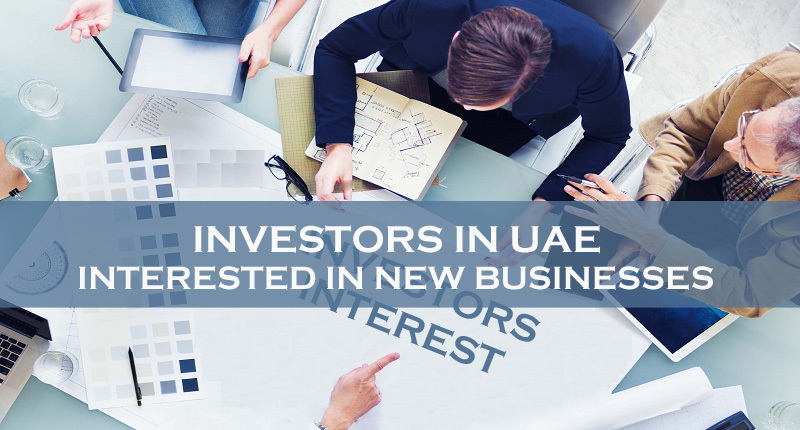 The experts say that investors in UAE are young as compared to several other jurisdictions and this could be an important factor for this approach. But all the analysts are of the view that the most important factor behind this attitude is their trust on the country and its rulers. They are confident about the political and economic stability of the country and are aware about the efforts of the government for the growth of the economic sectors. Despite facing financial pressure recently, the country managed to recover soon mainly due to the wise and timely steps taken by its leadership. The recent survey is really quite satisfactory for those having businesses in UAE or willing to start one in the country. It also highlights the prospects of growth of businesses in the future. For detailed information and assistance on setting up a business in UAE mainland or free zone, you can contact UAE’s largest business consultancy firm Riz & Mona. We are available via WhatsApp # 971-56-9971225.